Open your mouth, judge righteously, defend the rights of the poor and needy (Prov. 31:9). Recently, someone was telling me about a family who was planning to adopt a sibling group from foster care. I was excited for them–and, honestly, a bit jealous–when I heard how this young, married couple was giving of themselves to ensure a safe and loving home for these boys (yes, all boys!). Actually, this family isn’t such an anomaly to me. In my work, I know of many families who are adopting or fostering more than one child. One family that I respect deeply has 14 children! Another one I am in awe of had over 20 special needs children at one time! In my world, these families are the norm. But to the rest of the world, these families seem unnatural and peculiar. While the conversation I had with the person above was not uncommon for me, I realized that perhaps it was time that I speak out against this narrative in our culture. The truth is that there are over 130 million orphans in the world. If you have been following me for any length of time, you know this statistic by now. In America alone, there are close to half-a-million children in the foster care system. In my state of South Carolina, there are currently 1500 children in need of a home! So, when I hear someone say that a family is taking on more than they should, I have to question why more people aren’t stepping in to help. I’ll be the first to admit that adoption and foster care is not for everyone. 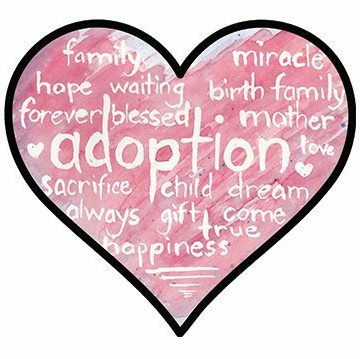 In fact, I recently had a conversation with a person very close to me who was considering adopting, and I ended up telling that person that adoption was not a good fit for them. Some of the typical things that come with loving a child who is not biologically yours were overwhelming to that person. But while I will admit that not everyone should foster or adopt, I also will be the first one to stand up and say that EVERYONE should be doing something! We rage against the mommy wars, claiming that we shouldn’t judge each other, but the rules change when it’s a foster child or an adopted child. We claim that we should be accepting of all people of all races, sexual orientations, and religions, yet we don’t actually want to accept “different” people into our families. Sibling groups are especially hard to place with families. Many foster families are looking for one or two children within a certain age range. So if you have a family of four with a two-year-old at one end and a thirteen-year-old at the other, it’s going to be extremely difficult to find a family who is willing to adopt all the children together. Separating these siblings only increases their trauma and can have a long-lasting impact on them. So, when I hear that a family is willing to take all of them in order to keep them together, I think that only God can be in the midst there because it is a supernatural courage that makes these families say yes to something so hard. The truth is that foster and adoptive families don’t know what they are taking on. How can they when the caseworkers don’t even seem to know everything? Or when the caseworkers can’t or won’t reveal everything just because they are afraid no one will take the children if they know the trauma? But foster and adoptive families know that there are issues that are probably going to become more obvious as the children become more comfortable in the home. Yet, they are answering the call. The truth is that God has never promised us an easy life. But we have become a culture unwilling to step out of our comfort zone. We don’t want anything that will cause us trouble. Yet, Christ didn’t run from trouble. In fact, He often brought trouble on Himself. He was preaching a Gospel that stirred up trouble. He rejected the status quo. And He asked people to follow Him in His mission to cause trouble. He had a vision of something more wonderful than the comforts of this life, and He urged His followers to focus on that vision as well. For I consider that the sufferings of this present time are not worth comparing with the glory that is to be revealed to us (Rom. 8:18). Paul had that vision and sought to make a little trouble of his own. And so, I guess I’m stirring up a little bit of trouble of my own here on the internet because I want to ask you what you are doing for these families you are judging. The sad thing is that for so long now, the Church has taken a step back from helping orphans in need and has instead started giving in to the culture: We should all have 2 children. Any more, and we must be crazy. We should all make sure that we use our money for ourselves, taking many expensive vacations and indulging our children’s every want and desire. But let’ s not ever give our money away if it makes us uncomfortable, if it means that we would have to deny ourselves any creature comforts. In all things I have shown you that by working hard in this way we must help the weak and remember the words of the Lord Jesus, how he himself said, ‘It is more blessed to give than to receive’ (Acts 20:35). If you see a new foster or adoptive family, check in with them to see what they need. They may need car seats, nursery furniture, diapers, wipes, clothes, school supplies, etc. Or they may need gift cards for groceries, gas, restaurants, family activities. Everything gets a lot more expensive when a family grows. I know of a few churches that have foster care closets where people can donate items that foster/adoptive families can “shop” when they need something. I hope that this trend catches on and that this is common in most churches. Feel free to ask me more about this if you would like to start a closet at your church! He said also to the man who had invited him, ‘When you give a dinner or a banquet, do not invite your friends or your brothers or your relatives or rich neighbors, lest they also invite you in return and you be repaid. But when you give a feast, invite the poor, the crippled, the lame, the blind, and you will be blessed, because they cannot repay you. For you will be repaid at the resurrection of the just’ (Luke 14:12-14). One of the hardest things for a new foster/adoptive family is the feeling of isolation that often accompanies opening their home and hearts to children in need. It can be lonely to find that people no longer invite you over for a meal or want to have play dates with your family. Reach out and check in on these families! Provide them a meal. Invite the whole family over. Offer to babysit while giving the parents a night off. I know of one church that hosts a Parents Night Out each month with free childcare and food for the kids. This church also has a woman who faithfully serves foster/adoptive families by providing a freezer meal for anyone who signs up for PNO. What a blessing she is to those families! A righteous man knows the rights of the poor; a wicked man does not understand such knowledge (Prov. 29:7). Many of the fears and concerns that keep people from fostering and adopting have to do with a simple lack of knowledge. I heard one rumor that all foster children come with lice. Obviously, that was a rumor I had to put an end to! None of my foster children ever came to me with lice. Another myth is that these children are bad and need to be kept separated from other children. While I did have a couple of children who had difficult behaviors, overall, we had children who actually got along well with others and were eager to please because they just wanted to be loved. Churches need to be more vocal and allow foster/adoptive parents the opportunity to speak up about the truths they have experienced. Having a night once a month or even once a quarter to focus on the truths of foster care and adoption is a great way to educate intentionally. Offering classes each month also provides the opportunity for foster families to earn credit hours that are required in order for them to keep their foster care license. Praying at all times in the Spirit, with all prayer and supplication. To that end keep alert with all perseverance, making supplication for all the saints (Eph. 6:18). The most important need that adoptive/foster families have is prayer. They are in need of supernatural power to help these children who are coming to them from hard places. They know that they are in over their heads, but they are on the mission that God ordained for them. Just as you pray for missionaries on the mission field, so you should be praying for these families in the trenches of being the hands and feet of Jesus to these hurting kids. Rise up, Church! Instead of judging these families, it’s time to step up and help them out. These children were created in the image of God, so it is the responsibility of the entire Church to care for them. How is God calling you to help?